Descrizione di una battaglia, 1988. 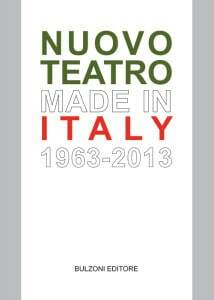 The website www.nuovoteatromadeinitaly.sciami.com started as a tool designed to complement Valentina Valentini's book Nuovo Teatro Made in Italy, which also contains contributions from Anna Barsotti, Cristina Grazioli, and Donatella Orecchia (Rome: Bulzoni, 2015). At last, the documents within the research path have increased along with in-depth focuses on companies and artists. Finally, at the end of 2017, the book (in new edition) was published by Routledge, translated into English by Thomas Haskell Simpson. All the focus presentations were also translated into English. Our reconstruction of the phenomenology of New Theater makes use of a multimedia apparatus: this website devoted to the actors, companies, spectacles, and contexts covered in the volume, made up of videos, story boards, reviews, interviews and other archival material. with essays of Anna Barsotti, Cristina Grazioli, Donatella Orecchia. First phase. 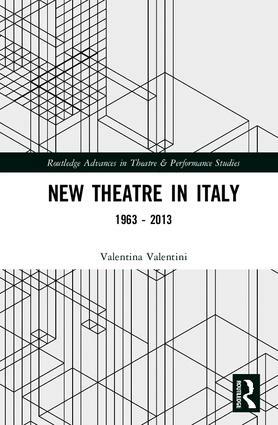 We singled out a significant selection of case studies of new Italian theatre, comprising of artists, companies and performances treated in the book Nuovo Teatro Made in Italy. The curators then worked on constructing a critical and documentary selection essential to the reconstruction and to an historical and critical understanding of the single performances. Second phase. Having made the initial selection, the nucleus was then expanded on. Other single focus on performances and artists were added, and new collaborators were invited to take part. The website is thus becoming a larger container of material: it is still anchored to the scope of the volume yet it is also configuring itself as a project in and of itself.